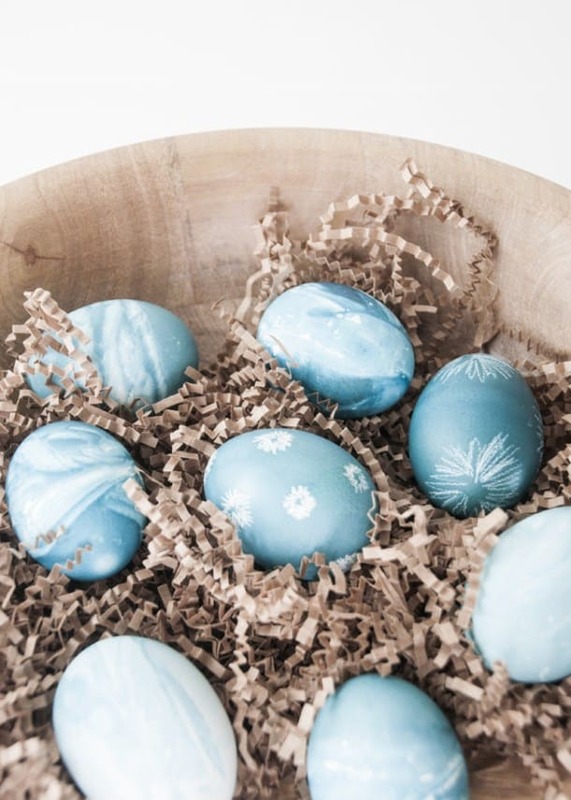 Decorate for Easter with these 8 DIY beautiful decorative Easter eggs. These beautiful eggs are fun to do with or without the kids. 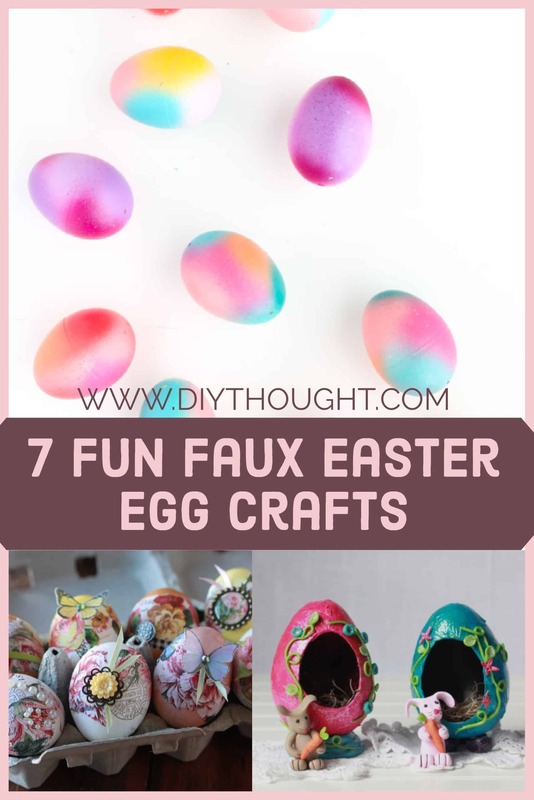 These tutorials use either real eggs (hard boiled or the inner egg gently removed using a pin) or craft eggs which can be found at your local craft or dollar store. 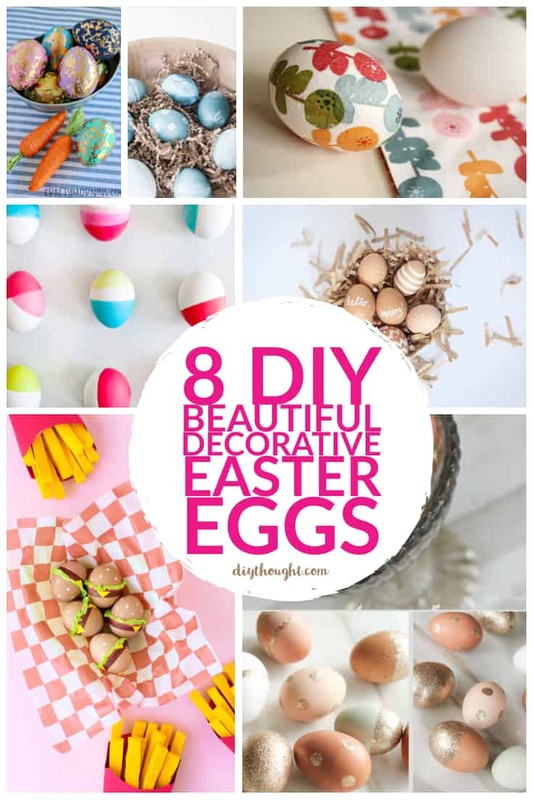 So grab some eggs and get decorating! 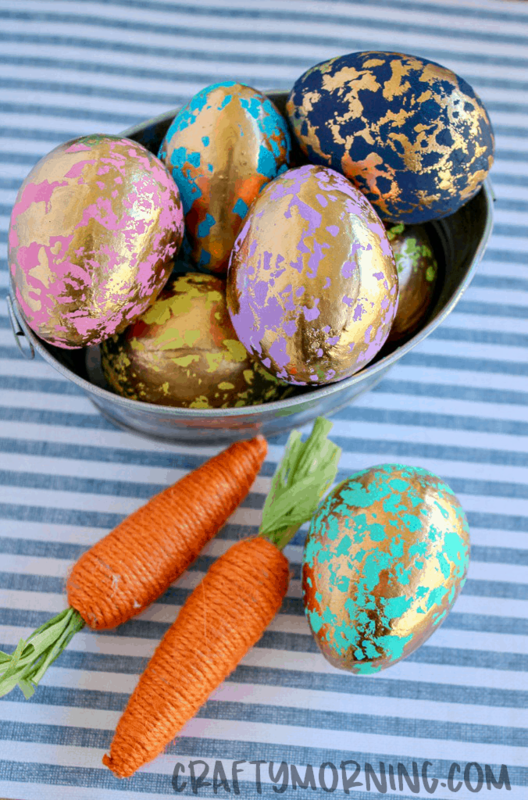 Wow, these gold leaf Easter eggs are totally stunning! Paint either real or paper mache eggs and let dry before adding on the beautiful gold leaf. Head over to Crafty Morning to get the full tutorial. How lovely is that napkin design? 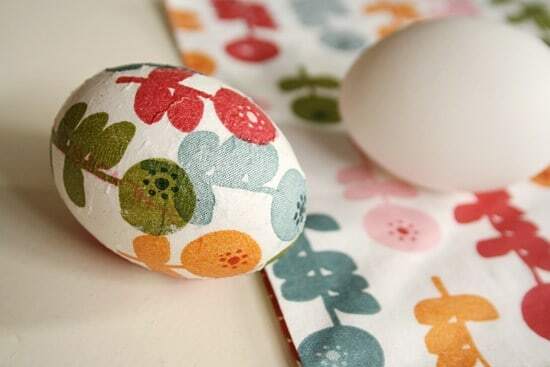 Decoupaging with napkins is a great way to decorate Easter eggs. They look stunning and are easy to do. This is the perfect first decoupaging project! Visit By Wilma to find out more and to learn how to blow out an egg. 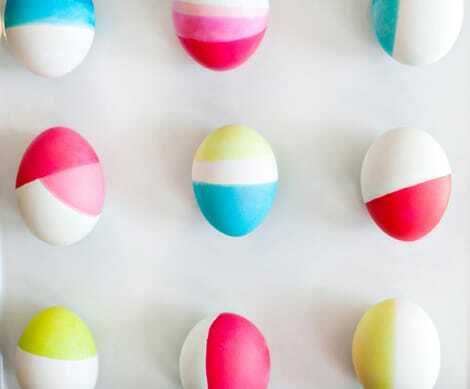 These neon dipped eggs are bright and fun. They are dipped in food coloring and vinegar which means that it is ok to eat them after they are done! Oh Joy explains how to make them. Kids will love this magical egg decorating technique. Use a white crayon to draw on a design before submerging in food coloring to dye and watch the design appear. Follow this link to find out more. 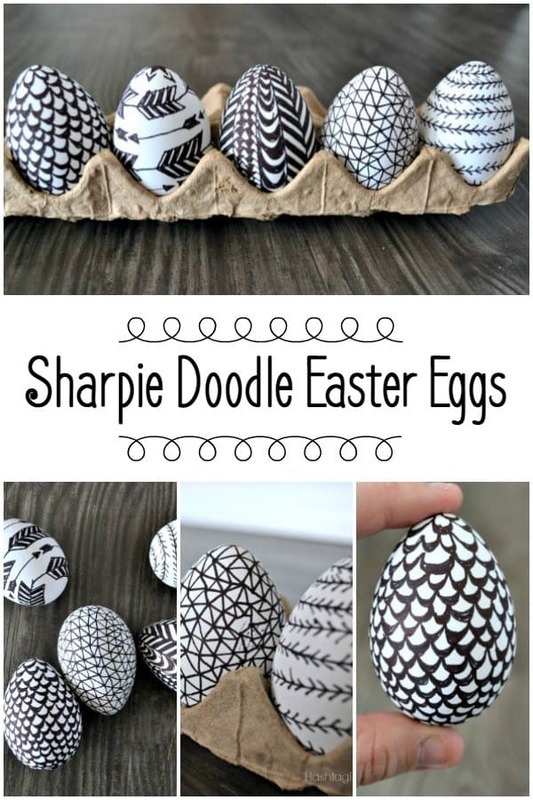 Sharpie doodle Easter Eggs are the ultimate mess-free Easter craft. Grab a Sharpie and get designing! Visit Hashtag Blessed Blog to read the full tutorial. 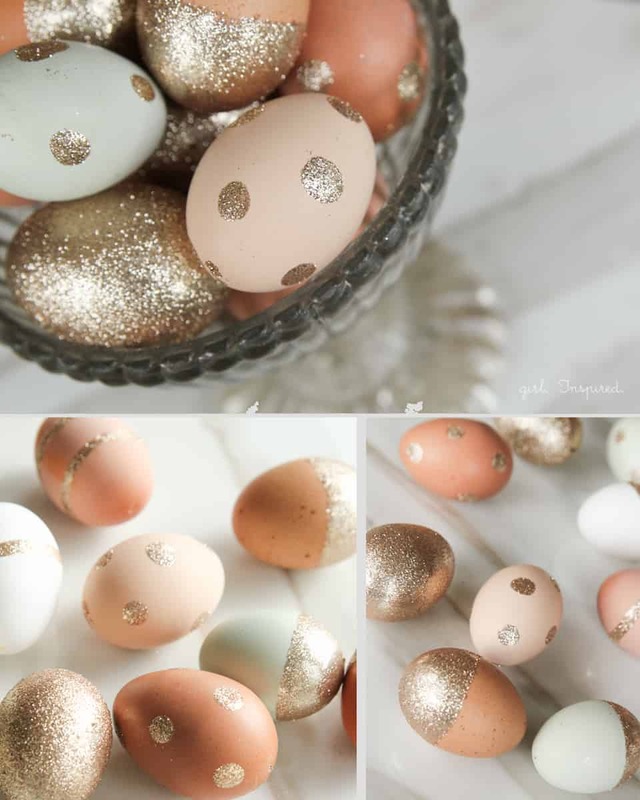 For the prettiest eggs around try creating glitter eggs. The Girl Inspired teaches us how it’s done. 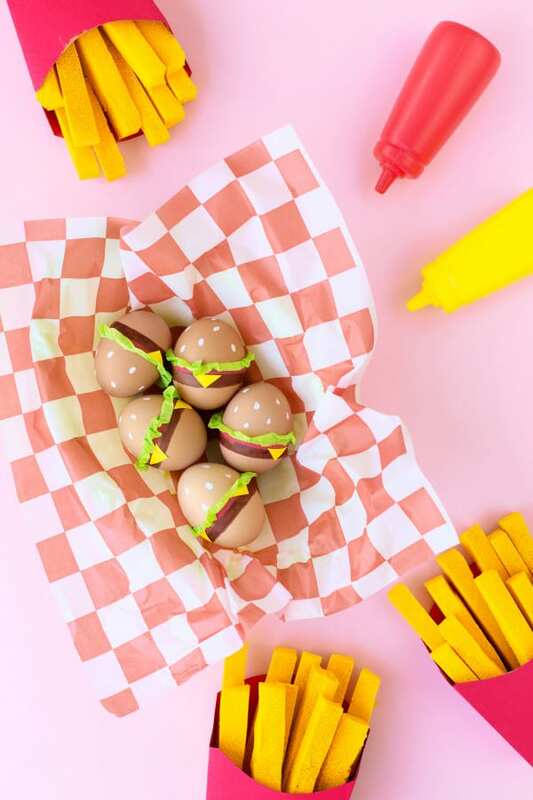 If you are wanting to go for quirky and fun then these adorable burger Easter eggs will do the trick. Click here to read the full tutorial. 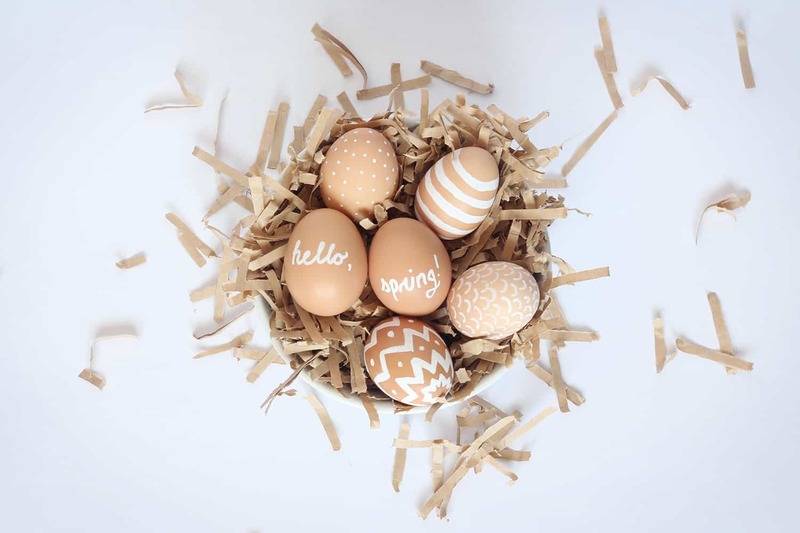 We are loving the natural look of these chalk marker eggs. They are super simple to create all you need is a chalk marker. Click here to read the full tutorial.